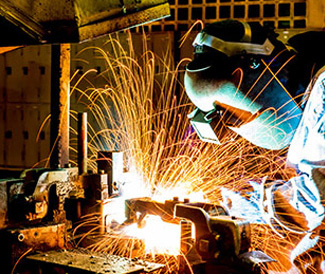 Construction Insure can offer welding and fabrication insurance at highly competitive premiums, all types of welding activities whether works are carried out at the businesses / contractors own premises or work on site can be covered. Whatever your welding and fabrication insurance requirements, please get in touch today for a free no obligation quotation. As a welder or fabricator, you are used to dealing with risk every day. And it’s exactly what we’re here to insure you against. Whether that’s physical risk to yourself or your staff, financial risk to your material assets or the legal liabilities of a claim against you. If you stop to consider what could go wrong, either in your workshop or on a construction site, you’ll realise why yours is viewed by the insurance industry as a high-risk occupation. In your own workshop, even though you’re in control of your environment, you’re working close to hazardous materials. If you’re welding on a construction site your risks are increased, because you’re relying on a contractor to provide you with a safe working environment. You need to take the responsibility of protecting your staff and your livelihood. (It’s worth noting that any sub-contractors you pay wages to, which is more than 20% of their annual salary, are also considered to be your employees.) At Construction Insure it’s our job to find you the right insurance cover at the most competitive premiums. We have the experience to protect professionals in high-risk occupations, like you. How does Welding and Fabricators Insurance help you? The less control you have over your surroundings, the more you need to be aware of safety issues. And the more important it is to have the right insurance in place. You could be hot welding on a yacht, a bridge or on a railway project. These are situations which present a potential high physical risk to you. But, whether you’re on-site or in a workshop, it’s vital that you follow Health & Safety guidelines at all times. If you don’t, you’re putting any insurance claim you might make at risk. Without a valid insurance policy in place, a single accident to your staff - or a member of the public - could bankrupt your business. But that’s where we come in. We’ll discuss the type of work you’re doing and what your budget is. We even separate out hot works from fabrication, to keep your premiums lower where possible. We’ll propose the cover you need, including what it will cost, so there are no surprises. We have four decades of construction industry experience to help you get the right insurance package. This can include Public Liability, Products Liability and Employers Liability insurance. 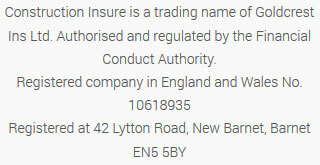 As well as Contents and Machinery and Stock insurance. How else does Welding and Fabricators Insurance help you? We’ll use our expertise to offer policies that provide specific cover for the type of metalwork you do. Whether you do MIG welding, TIG welding, arc welding or gas welding, we can help you. For instance, if you’re workshop based, we can cover your vehicles for transporting heavy fabrications to their destination. One accident on route could destroy months of work and leave you liable for repairs or replacement. Which is why you need adequate cover in place. And what would happen if your tools, whether they’re on-site or in your workshop, were lost, damaged or stolen? If that happens, the right insurance policy will make sure you’re back working again as quickly as possible. Whatever policies you need, we’ll ensure you’re completely covered. We have the resources and experience to make sure that you’re fully protected. Another thing to be aware of is the importance of full disclosure about your business, your turnover and your staff numbers. This is because, if you omit or hide anything, this may invalidate your insurance policy. You need to make sure you’re as protected as you can be. For instance, you may be working with a property developer in a residential area, close to members of the public. In which case, you should be covered for personal injury to a third party. The Public Liability provision of your policy would cover you for up to £5 million, while the Professional Negligence aspect would cover you up to £100,000, although this can be increased through a separate policy. Without an insurance policy, the cost of a claim against you could ruin your business and destroy your financial security. And, on the subject of finances, you’ll find we keep our premiums extremely competitive so you get the best cover for your money. Insurance, like welding and fabrications, needs experience and expertise to ensure you get the right cover for your project. Please call us on 020 3958 6868 so we can discuss your requirements fully, that way we will have a greater understanding of exactly what you need so that we can get the best policy for you at the right price. We have been working in the construction industry for many years, working with a wide variety of specialist insurances and so we feel confident that we can provide the best advice for you and your specific needs. Our UK-wide network of Account Handlers will look after you from your initial enquiry and manage the process for you if you do have to make a claim. There is no obligation at all, so why not get in touch today and speak to one of our team for a quotation.